Own Rampage on 4K UHD Combo Pack, 3D Blu-ray Combo Pack, Blu-ray and DVD on July 17, or Own It Early on Digital HD on June 26! Burbank, CA, May 29 – Watch an unshakeable bond form between an extraordinarily intelligent gorilla and noteworthy primatologist when “Rampage” arrives on 4K Ultra HD, Blu-Ray 3D Combo Pack, Blu-ray Combo Pack, DVD and Digital. “Rampage” also stars Oscar nominee Naomie Harris (“Moonlight”), Malin Akerman (TV’s “Billions”), Jake Lacy (TV’s “Girls”), Joe Manganiello (TV’s “True Blood”), and Jeffrey Dean Morgan (TV’s “The Walking Dead”), P.J. Byrne (“The Wolf of Wall Street”), Marley Shelton (TV’s “Rise”), Breanne Hill (TV’s “Frontier”), Jack Quaid (“The Hunger Games: Catching Fire”), Matt Gerald (TV’s “Daredevil”), Jason Liles (“Death Note”), Demetrius Grosse (TV’s “The Brave”) and Will Yun Lee (TV’s “Hawaii Five-O”). “Rampage” will be available on 4K Ultra HD for $44.95, Blu-ray 3D Combo Pack for $44.95, Blu-ray Combo Pack for $35.99 and DVD for $28.98. The Blu-ray 3D Combo Pack features the theatrical version of the film in 3D high definition and high definition; the Blu-ray Combo Pack features a Blu-ray disc with the film in high definition, a Blu-ray disc with the special features in high definition, a DVD with the film in standard definition and a Digital version of the movie. 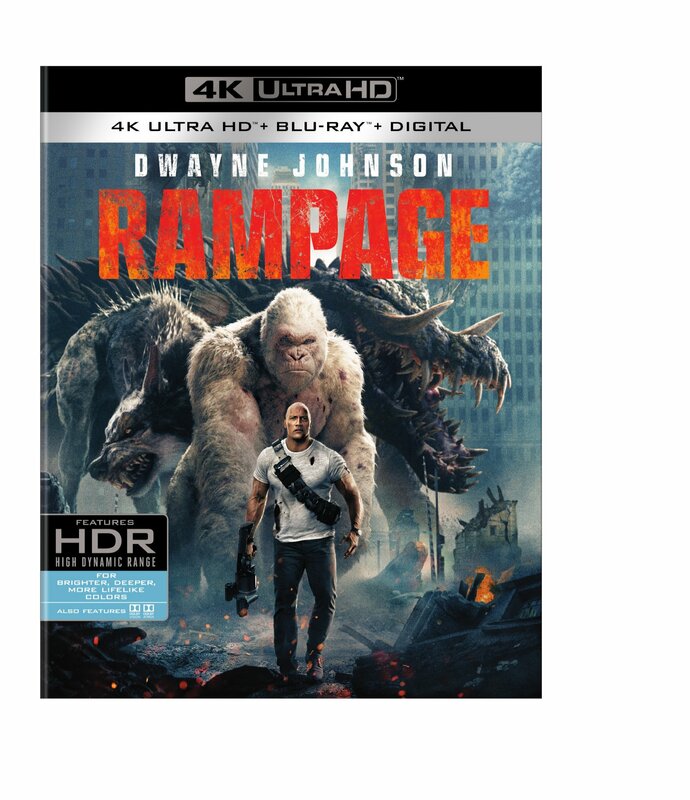 The 4K Ultra HD Blu-ray disc of “Rampage” will feature Dolby VisionTM HDR that dramatically expands the color palette and contrast range and uses dynamic metadata to automatically optimize the picture for every screen, frame by frame. 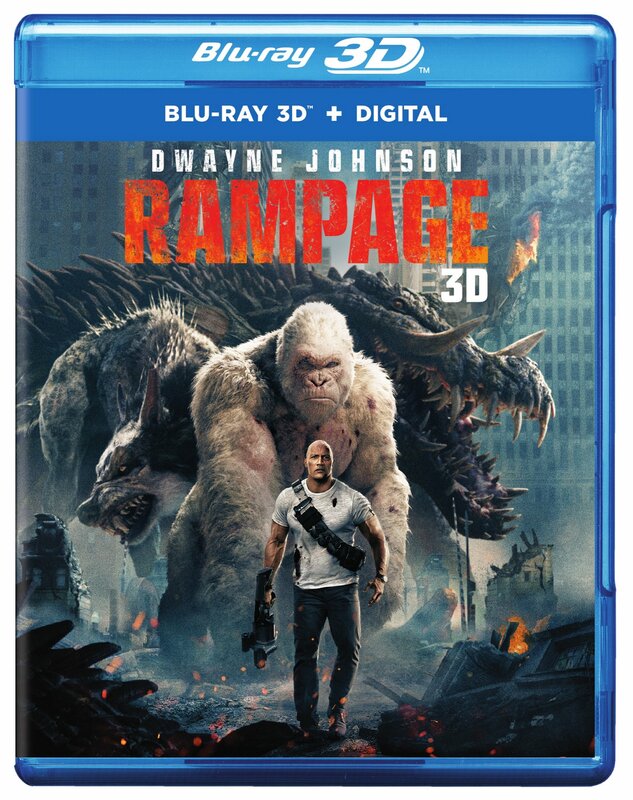 Also, the 4K Ultra HD Blu-ray and Blu-ray 3D discs of “Rampage” will feature a Dolby Atmos® soundtrack remixed specifically for the home theater environment to place and move audio anywhere in the room, including overhead. To experience Dolby Atmos at home, a Dolby Atmos enabled AV receiver and additional speakers are required, or a Dolby Atmos enabled sound bar. Dolby Atmos soundtracks are also fully backward compatible with traditional audio configurations and legacy home entertainment equipment. “Rampage” will also be available on Movies Anywhere. Using the free Movies Anywhere app and website, consumers can access all their eligible movies by connecting their Movies Anywhere account with their participating digital retailer accounts. 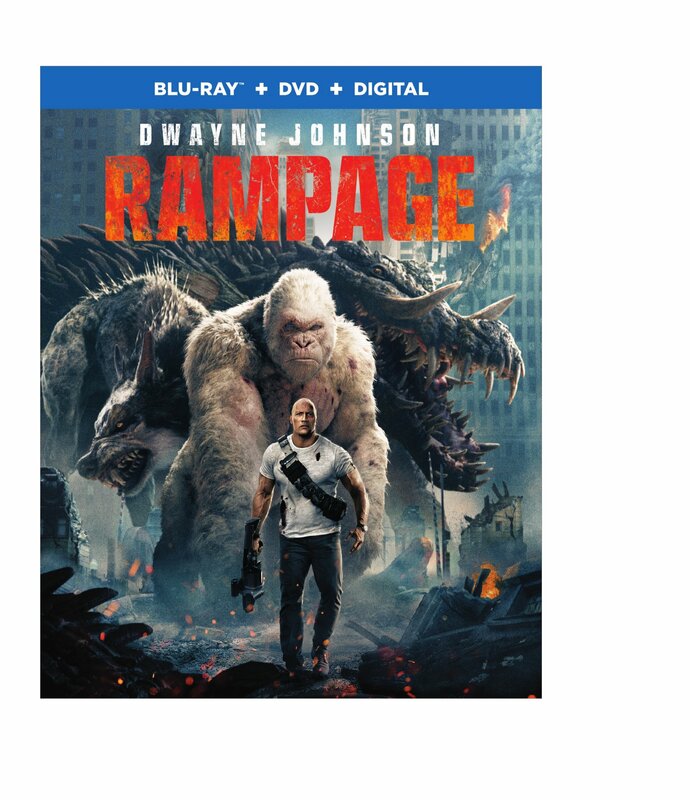 Fans can also own “Rampage” via purchase from digital retailers beginning June 26. · Not A Game Anymore – From arcade sensation to movie monster epic, we explore how the Midway video game inspired the filmmakers to create the ultimate disaster film. · Gag Reel – Hilarious outtakes and mishaps captured during production. · Deleted Scenes – Deleted scenes that barely missed the final theatrical cut. · Rampage – Actors in Action: Strap in for a wild ride as Dwayne Johnson, Joe Manganiello and the cast prepare for the film’s demanding stunts and explosive set pieces. · Trio of Destruction – Follow the innovative design team and the artists at Weta Digital as they bring to life the biggest and baddest monsters for the film’s climactic battle royal. · Attack on Chicago – Director Brad Peyton reveals the challenges of filming on-location in Chicago and turning digital destruction into a cinematic reality. On June 26, “Rampage” will be available to own in high definition and standard definition from select digital retailers including Amazon, FandangoNow, iTunes, PlayStation, Vudu, Xbox and others. On July 17, “Rampage” will be made available digitally on Video On Demand services from cable and satellite providers, and on select gaming consoles. Rating: Rated PG-13 for sequences of violence, action and destruction, brief language, and crude gestures.